I only wish you got to live the dream I did. It was so good, so much fun there are times now I look back and think it might have been just that, a dream. But it was real. I got to live that dream. 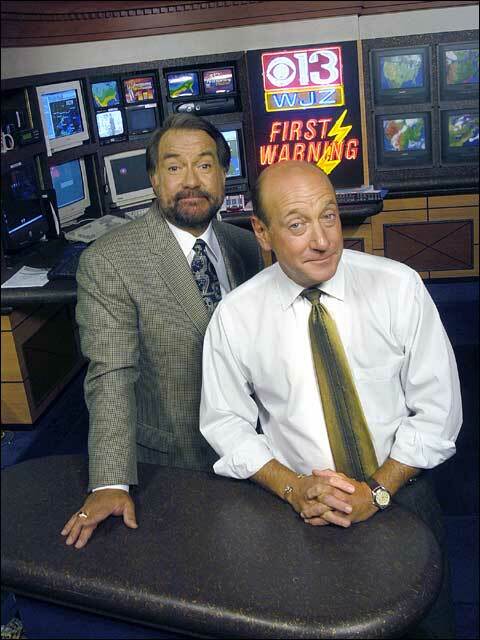 I still remember during my college years, sitting there in the early morning, eating cereal and watching Don and Marty talk about the news, joke about the school lunch menus, announce the school snow closings and have a great time. 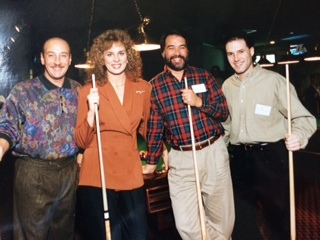 Before I knew it I was having a great time too – as Producer of the #1 morning show in all of Maryland and for a long time one of the top-rated local news shows in the entire country. See I got to live that dream. Today a man who was part of that magic team, my dream team, will sign-off for the very last time. 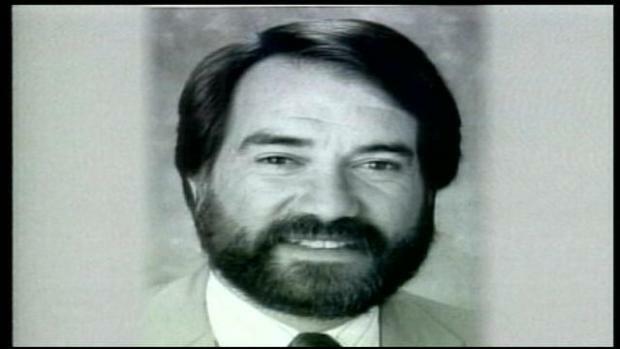 I was still a freshman in college when Don Scott and Marty Bass were partnered in the AM, but I got a college internship at ‘WJZ during my senior year (’86-’87) and by 1988 I was full-time producer of one of the hottest local newscasts in all of television. Don & Marty. I only had to say their names and tell someone I produced that show for instant recognition and respect. I got to live that dream. Don, the consummate news professional, smooth, calm, smart and with a tremendous ability to read news copy sight unseen, or confidently and calmly handle a breaking story. Don had a comforting, steady demeanor which kept all of us at least focused on the news, because believe me it wasn’t always easy. Too often we were simply busy having too much fun. 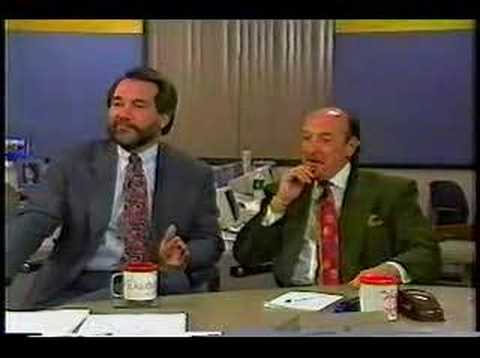 Marty, the weatherman, the great communicator, interviewer, the irreverent energy of the duo, the ying to Don’s yang. The perfect team. Don, Marty, the Morning-Edition and Rise & Shine. It was so worth it. I got to spend 15 years, nearly a third of my life, associated with those morning shows. 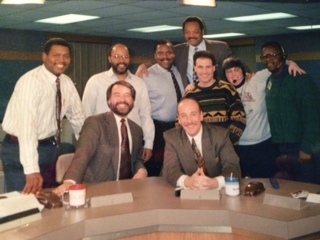 For seven of those years I served as Producer, (The Blade), working all night long to make the show happen. In at 10pm out at 7am, and for most of those hours, it was just me, alone, to create the foundation of what would happen when the red light came on and Don and Marty said good morning to hundreds of thousands of Marylanders. I spent seven years on the overnight shift just for the chance to lead the charge and for a front seat to morning show history. It was so worth it. I still remember the early days, Don and I sitting down shortly after he walked in to the newsroom, to review the rundown, read the first section of scripts and prepare for the show. But as time went on and we got more comfortable, I gained Don’s trust and the meetings became less frequent. We developed a synergy and the man I had watched since I was a boy , this professional reporter and anchor, eventually put his trust in me to handle it all. Write the show, time the show, and get it right, nearly every time. And we had the time of our lives. Don, Marty the entire crew. The mantra was: There are no mistakes, simply opportunities for ad-libs. We did morning news like no one had ever seen, talk-about TV that people still talk about today. Don kept us in line and on time, Marty pushed the envelope. As producer I got to choreograph the entire dance from scratch each night and watch it come to life every morning. 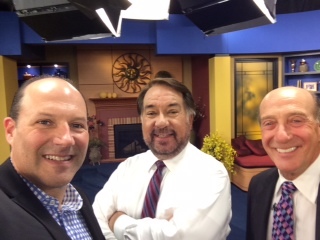 When I got an on-air role I got to interact and banter back and forth with these two pros every day. They taught me so much. Don and Marty interviewed more big names live on our set then you can imagine. 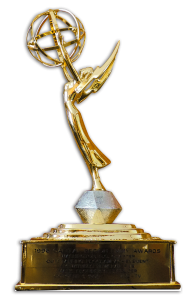 TV stars, movie stars, sports stars, authors, politicians, from Elmo to Joan Rivers to Tom Clancy to Jesse Jackson. And some of the most unique local individuals you would ever want to meet, from Earl the Singing Cowboy to a young magician named Spencer Horseman, to a secret gossip reporter named Harry Horni, to people who collected refrigerator magnets and wild memorabilia. If it was off-the-wall, or talk-about we brought them in for interviews. Marty would push it to the edge, Don would pull us back in the nick of time. Ying and Yang. But after 30 years together, the dream team will be no more. Don Scott is saying farewell. When I popped by the studio yesterday to offer my congratulations it was Don and Marty who got up from the set to come greet me, with a firm handshake and a warm “hello”. Marty has always been like a big brother to me, Don the cool uncle. You see I got to live that dream. It was one of those moments you get to pause and let sink in. See Don Scott, a local TV legend said those words to me a Baltimore boy who watched this local TV legend from the time I was just ten-years-old. 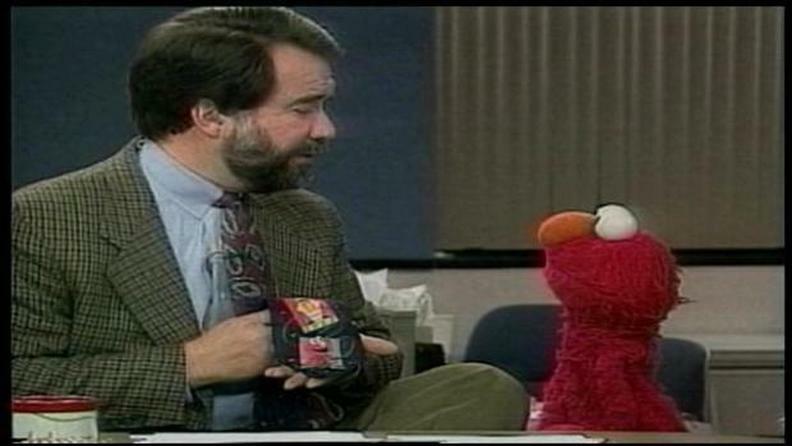 I got to work with him, I got to laugh with him, I got to produce his show, I got to bring him scripts, I got to help write his news copy, I got to make morning show history with him and Marty. And yesterday I got to stop by to offer him words of congratulations, have him shake my hand and offer me a compliment so meaningful it literally made my heart skip a beat. I get to call Don Scott my friend. Yes, I got to live that dream. Follow the blog! Enter your name and e-mail address and get posts sent directly to your inbox! The Moments In Between: It’s Just About… Life. Three Words: It’s Just About… Life.